Motor vehicle crashes are a leading cause of child injury in the United States. Over 100,000 children were hurt and over 1,000 killed in car accidents in 2015. That’s an average of three children killed and nearly 500 injured every day. We’re sad to say that in 2017, five children under the age of 15 were killed and 1,284 more were injured in Nebraska alone. 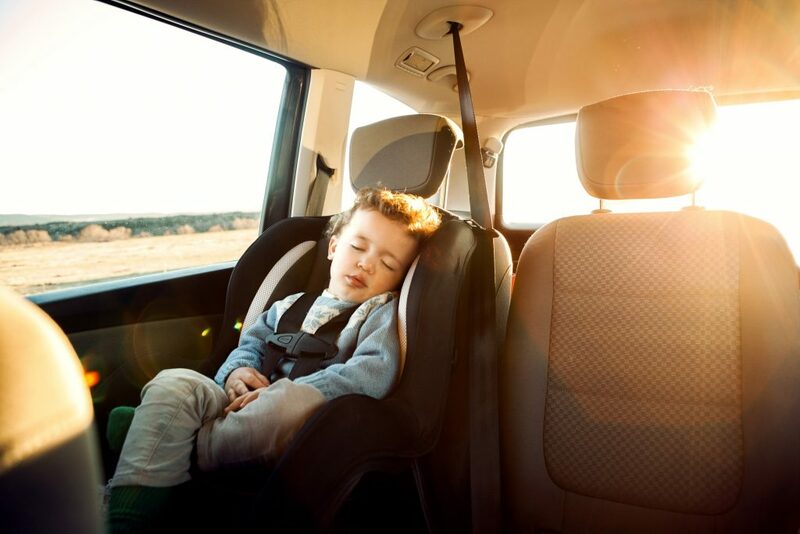 Though more than 97% of Nebraskan children are buckled into safety seats as of the latest survey taken by the Department of Transportation, they are more vulnerable in car crashes, especially when it comes to spinal cord or head injuries. To combat this, the State took action. 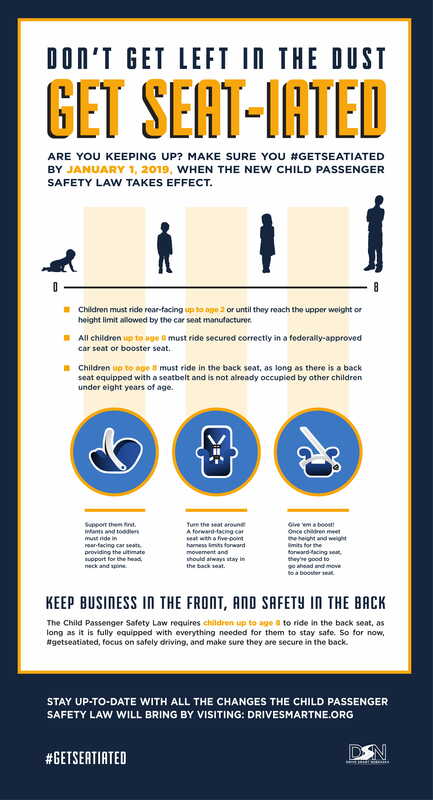 As of January 1, 2019, Nebraska’s LB42 requires parents and caregivers to buckle children in the back seat whenever they can do so. As part of its “Get Seat-iated” campaign, parents are encouraged to take the time to learn as much as they can to keep their kids as safe as possible! Ride in rear-facing booster seats, until they reach the height and weight limits recommended by the booster seat’s manufacturer. Ride in the backseat, as long as the backseat has a safety belt and is not already occupied by younger children. Ride secured by a safety belt or booster seat, depending on size. Ride in cargo areas of the vehicle. Transport all children securely in the appropriate federally-approved booster seats or safety belts. This includes daycare providers, babysitters, and school bus drivers. Drivers who break the Nebraska Child Safety Restraint Law are subject to a $25 fine plus court costs and will have 1 point added to their driving records. This amendment is in keeping with the latest crash research and should help minimize injuries to children in a collision. How Can I Ensure My Seat Is Compliant? Child Passenger Safety Technicians are recertified by the State every two years, and they have the knowledge to examine your car, safety seat, and child to make sure they’re as safe as possible. This training is given to law enforcement, nurses, school bus drivers, daycare providers, car dealership staff, and other people who work with children. Parents, too, can become certified to asses their own seats and assist others. Parents and caregivers are also encouraged to register their car seat to get important updates, such as recall information. You can have your child’s safety seat checked out by a certified safety technician at a Child Safety Seat Inspection Station, located throughout the state. All children under 13 years old will be assessed to see if they need a child seat. Safety seat events are also conducted in public areas at select times. To find where the next one will be, please check out Safe Kids Nebraska. We hope this information helps usher in a happy New Year for your family. If you have questions about a crash or an aspect of this new law, please call our Omaha car accident attorney for a free consultation. Bottlinger Law L.L.C. is a family-owned and operated law firm, and we will do our best to take care of your children should the unexpected happen on the road.